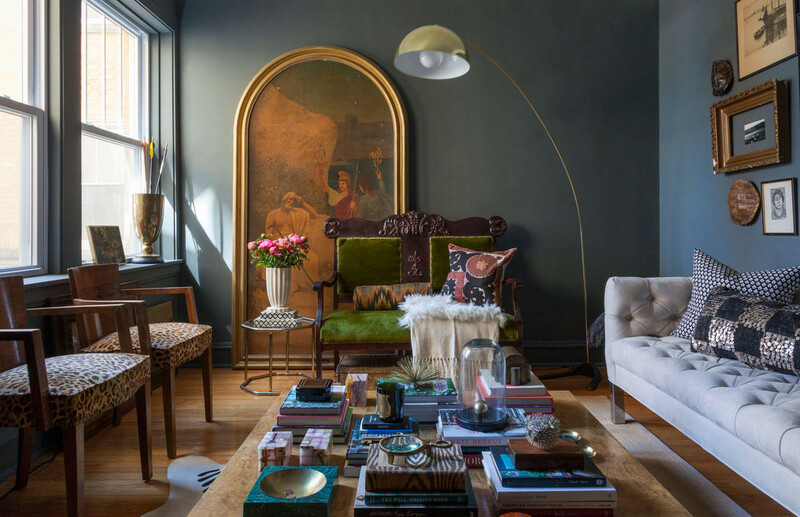 The Chicago living room of Matt Carollo, awash in a moody shade of Farrow & Ball paint. 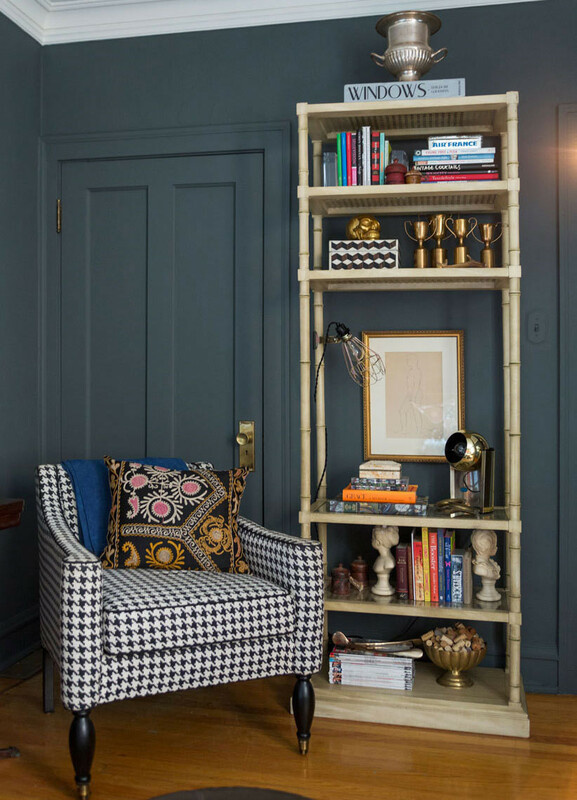 Carollo purchased this houndstooth armchair from a design store he worked at in high school. 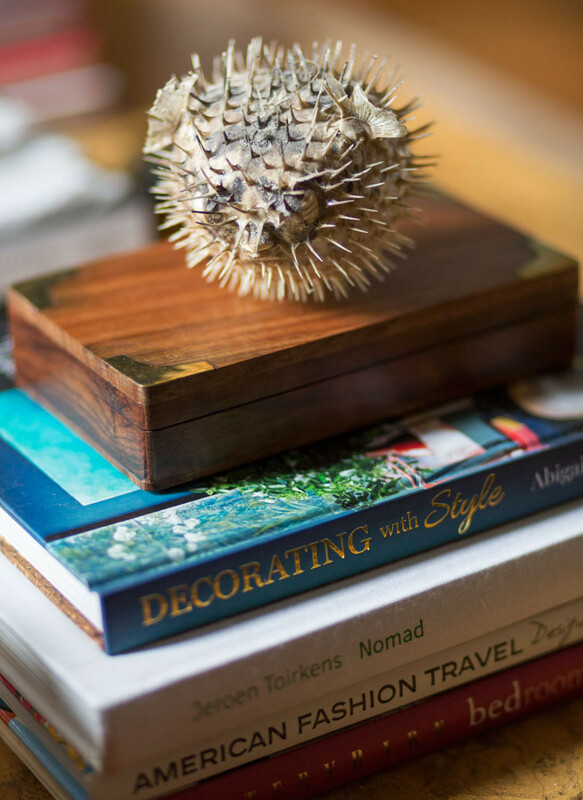 A blowfish curio tops a set of design tomes. I have [a dinner] service for 16, which is a little nuts because my dining table only seats four. 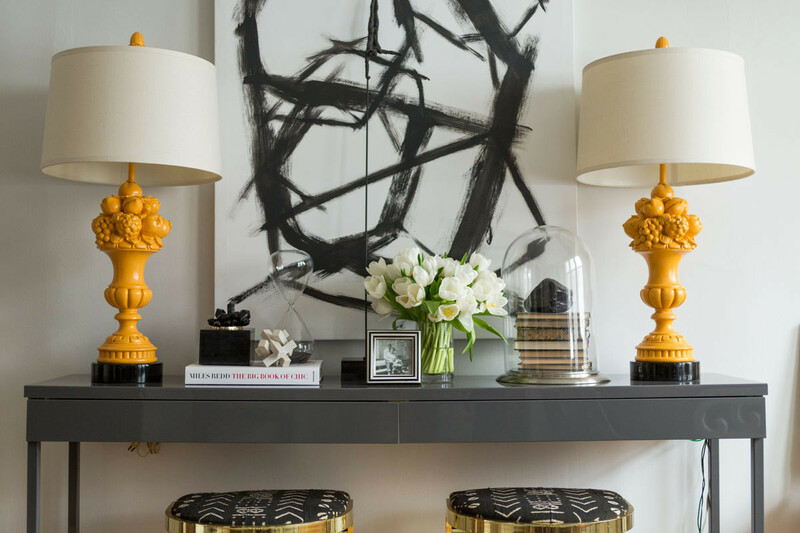 Gray tones—here enlivened by a burst of yellow blooms—suit the apartment's throwback mood. 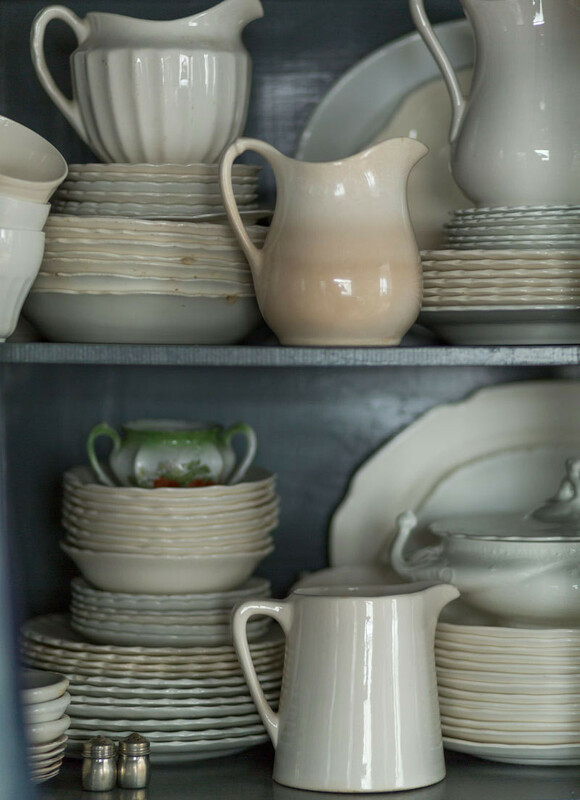 The collection of ironstone dinnerware is kept in a charmingly worn cabinet that once belonged to Carollo's great-grandmother. 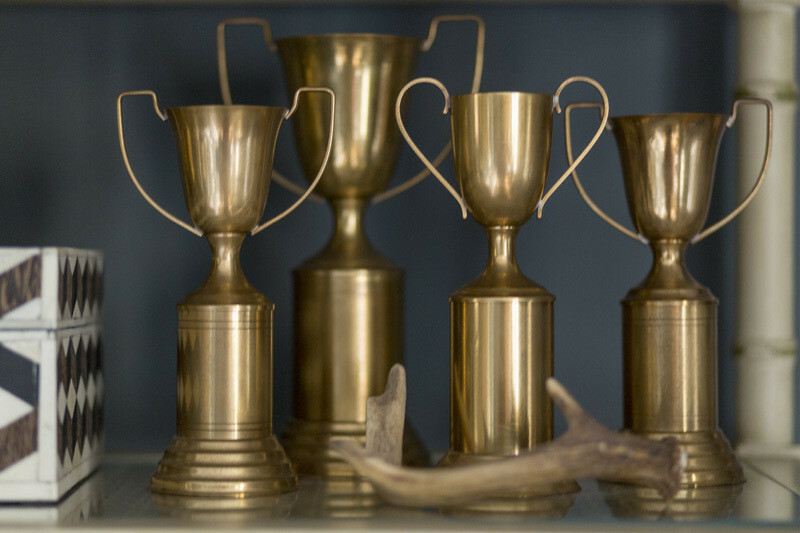 A quick survey of Carollo’s manifold belongings evokes a sensibility best described as dignitary meets magpie—as though a cabinet of curiosities and an attic’s worth of historical relics had been laid bare, meticulously edited, and presented in salon form. 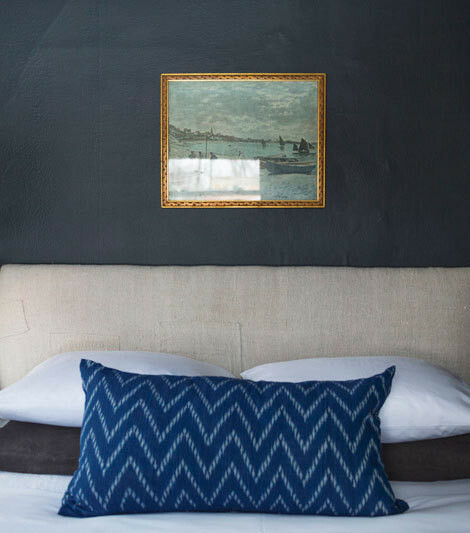 Carollo attributes his inclination toward a moody, gray-blue backdrop to the influence of British decorator Abigail Ahern, and cites J.Crew creative director Jenna Lyons’s former Brooklyn townhouse as inspiration for the Benjamin Moore Chalkboard paint in his bedroom. “There’s such depth to it,” he says with admiration. Having favored a more traditional vibe in his early years, he now prefers to mix eras—a midcentury Milo Baughman coffee table shares floor space with an early-20th-century green mohair settee inherited from his great-great-grandmother and a pair of leopard-print velvet chairs picked up on his first buying trip in the South of France. “I have a bit of a chair addiction,” he admits. 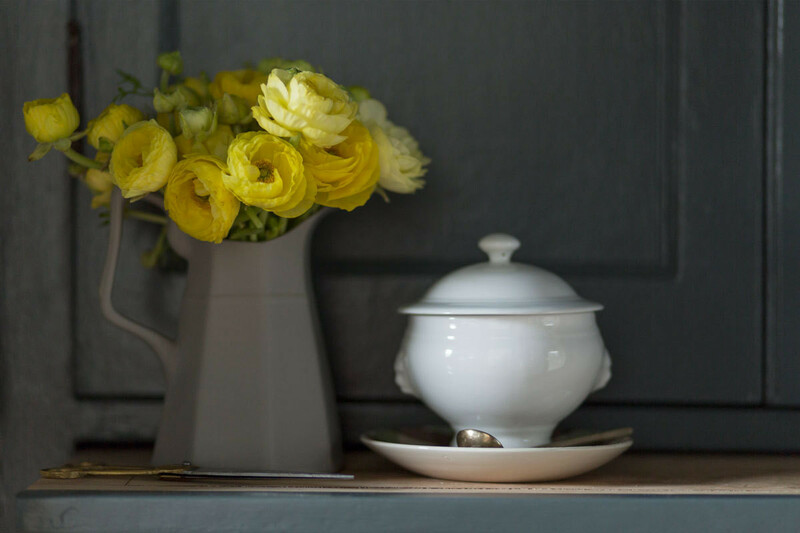 The cloudy effect of the bedroom walls was produced with Benjamin Moore Chalkboard paint. The tufted chair is one of Carollo's teenage acquisitions. Artwork is both plentiful and diverse. There’s a Gauguin-esque vintage figurative painting on a gallery wall; hand-colored family portraits of distant ancestors; an oil painting diptych (each panel measuring eight feet high) depicting a classical scene in the living room; and an abstract black-and-white piece in the dining room—just something Carollo threw together by painting over an abandoned canvas he found while doing laundry. “I always enjoy sketching and doing stuff like that,” he says modestly. A discarded canvas becomes a work of art perfectly balanced between a pair of spray-painted lamps. 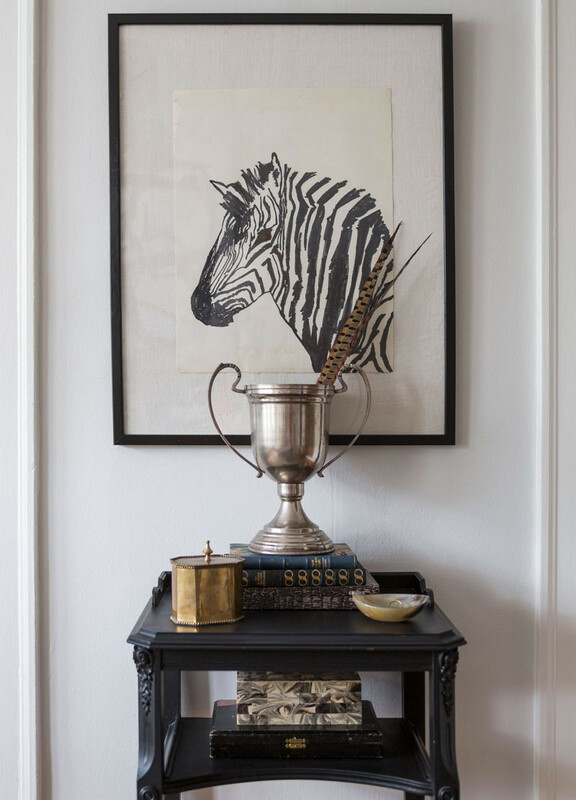 Zebra—as pattern and art motif—is a frequent sight chez Carollo. 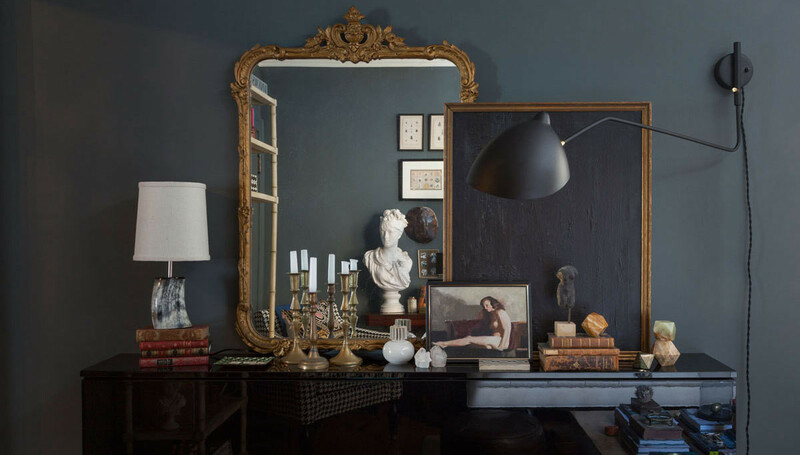 But one gets the sense that Carollo’s finery, as with everything else in his Aladdin’s Cave of a home, will yet fulfill its raison d’être; after all, he’s always been the planning-ahead sort. 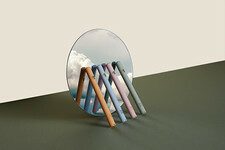 “It was never just about buying things for my bedroom,” he says of his impulse to begin collecting in his tween years. 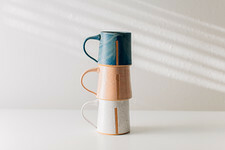 In other words, good design can’t wait, but life—that can catch up later. 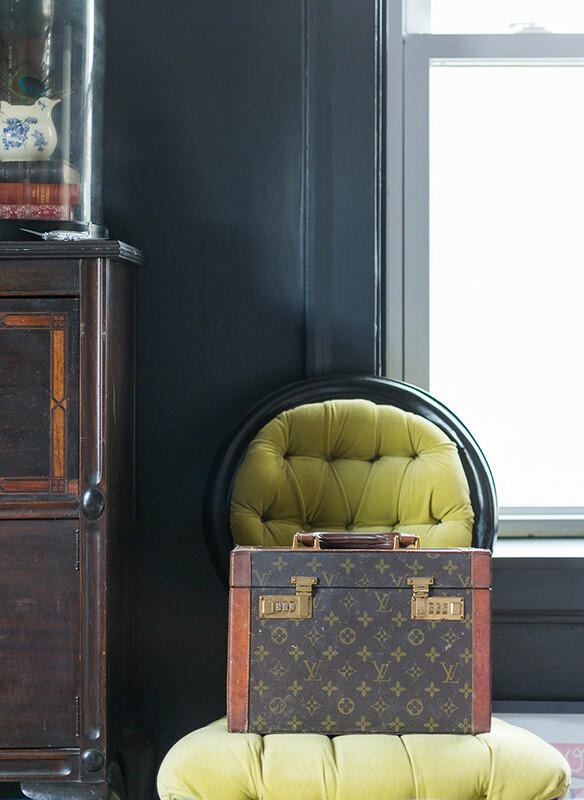 Jayson Home assistant buyer Matt Carollo has a lifetime’s worth of antiques on display in his Chicago apartment. 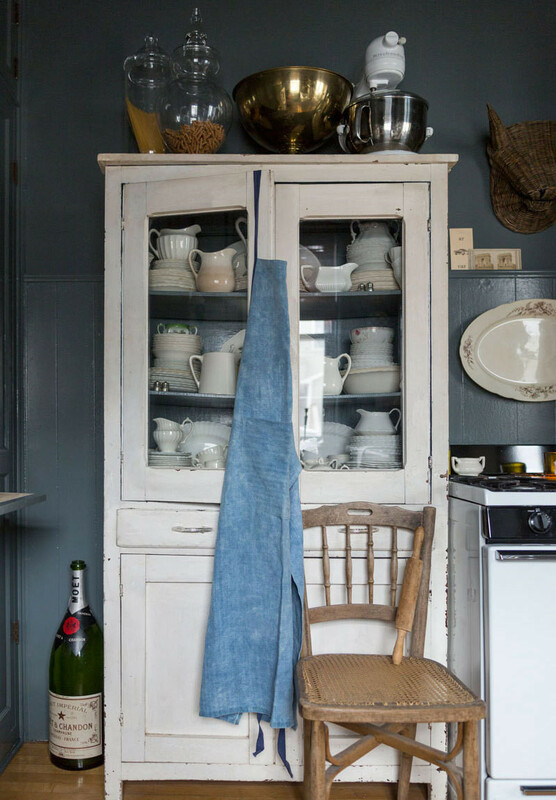 But you don’t have to clean out 1stdibs to crib his intensely curated look. Just embrace his favorite design elements. 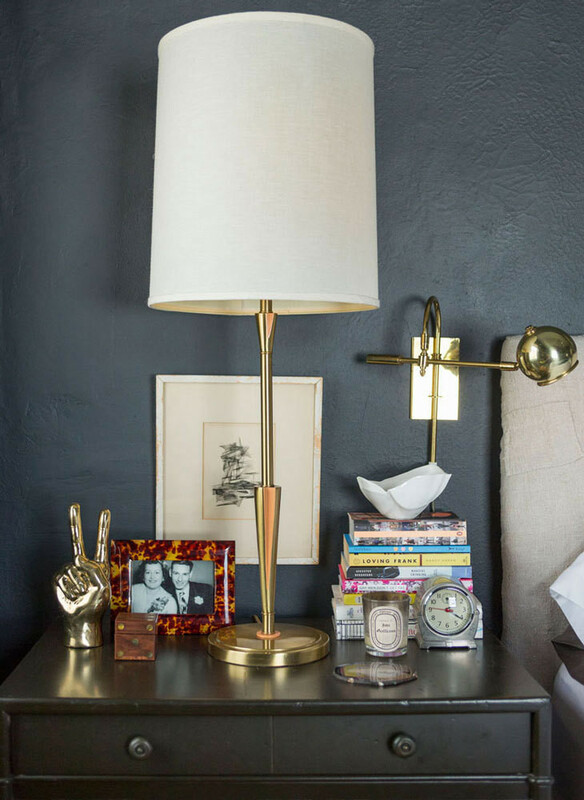 Benjamin Moore’s Chalkboard paint and Farrow & Ball’s Down Pipe get the star treatment in Carollo’s home. 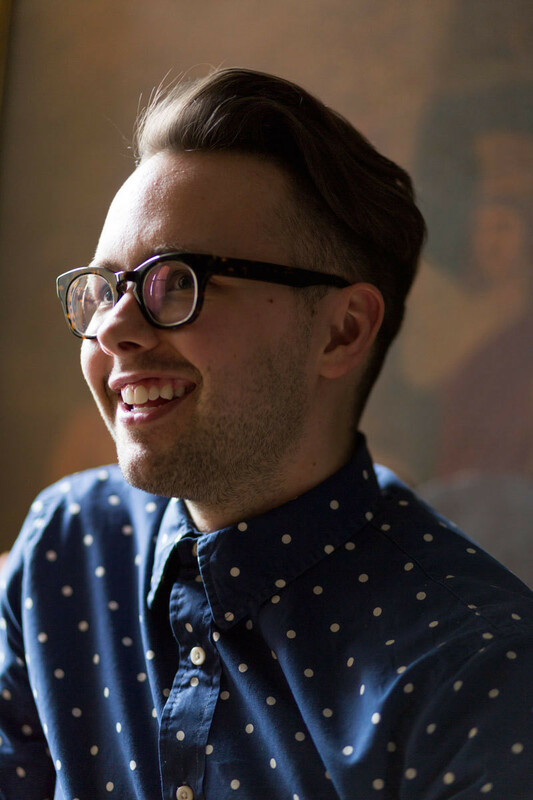 Matt Carollo reveals the six things on his shopping radar.